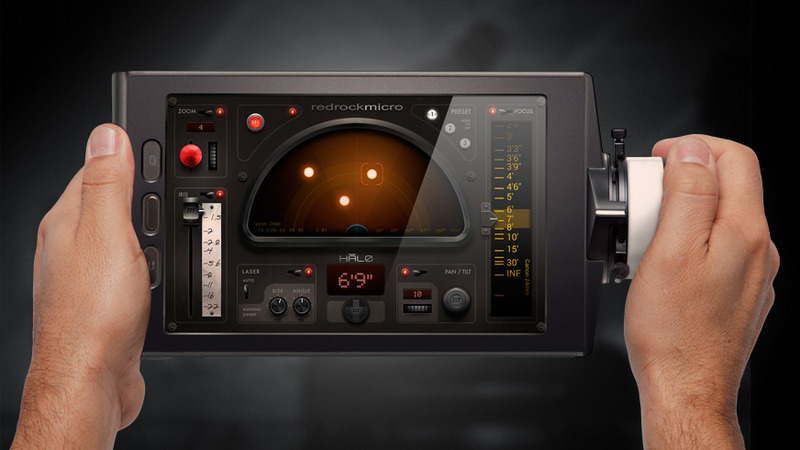 Redrock Micro has released a new product that gives digital filmmaking a retro makeover. The RetroFlex-S is a cladding for your Sony Alpha Compact cameras that converts your boring digital camera into a hipsters dream. 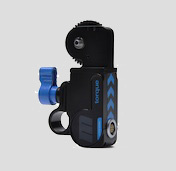 The RetroFlex-S takes on the old school Bolex form factor: a pistol grip and rear viewfinder that provides the users with quite an attractive looking handheld setup. 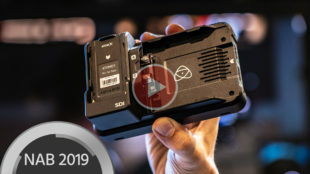 Developing on The RetroFlex Pocket Cinema, the RetroFlex-S is compatible with compact mirrorless Sony cameras like the NEX-3, A5000 and A5100 (not the flagship mirrorless a7R II and a7S II). The RetroFlex-S adds a nice screen loupe to the back of the camera, as well as a record start/stop button on the handgrip. 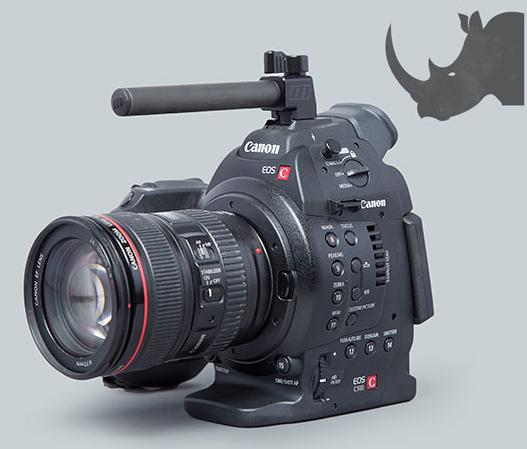 The viewfinder has a diopter and are detachable via magnet frame. The RetroFlex-S cages compatible Sony cameras, offering a snug fitting protective and trendy clad as well as a cold shoe up top. 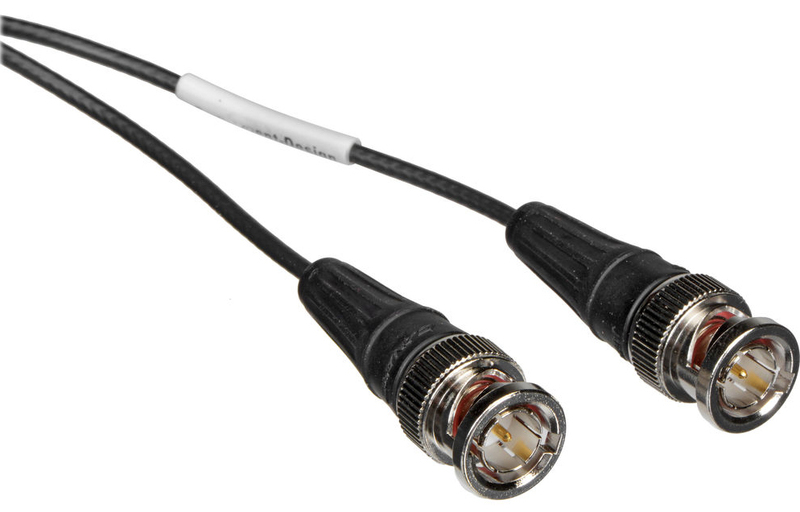 Further more are a handful of 1/4″ & 3/8″ thread on the side for additional accessories as well as optional cable protector for the side ports. 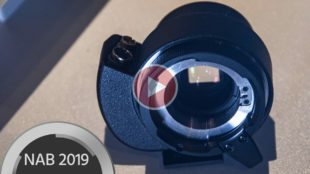 Design aside, the RetroFlex-S provides a lovely handheld form factor for the smaller Sony mirrorless cameras, the large loupe looks like a solid third point of contact and there’s function to the cage and grip as much as there is retro design. 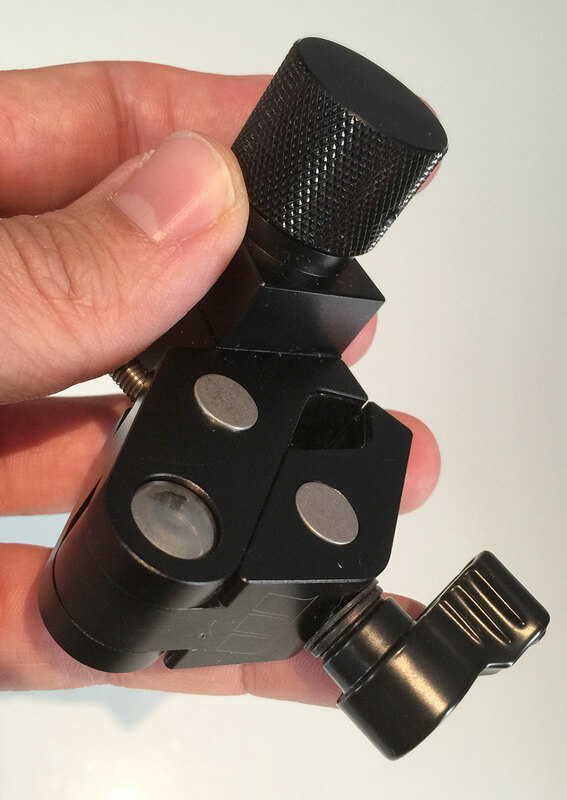 You pay a premium for the aesthetic compared to a typical cage/loupe/handle, the justification of that premium is purely down to individual opinion. 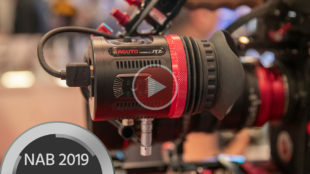 When Redrock Micro presented their affordable wireless follow focus at NAB 2010, who knew they’d take this technology so far: Now, 5 years later, they present an automatic follow focus system, but with a twist that might reinvent the way we use follow focus systems. 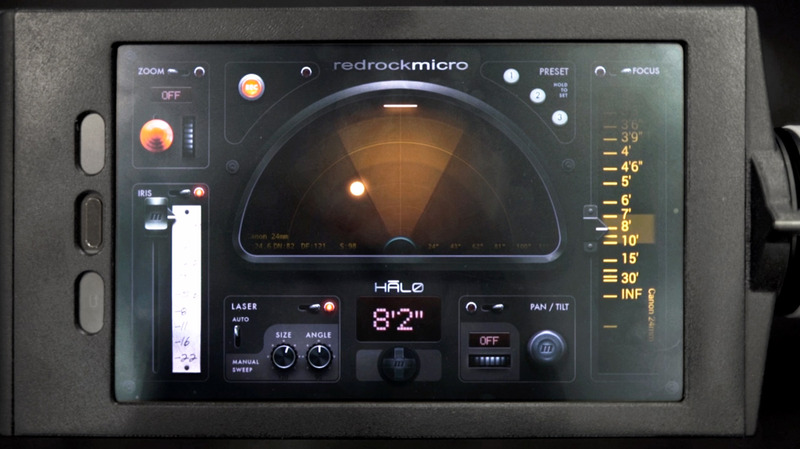 The Redrock HĀLO is an electronic focusing system that gives you automatic focusing as well as full manual control with a top-view of your scene. They use the same technology that powers autonomous cars to create a real-time map of the scene. 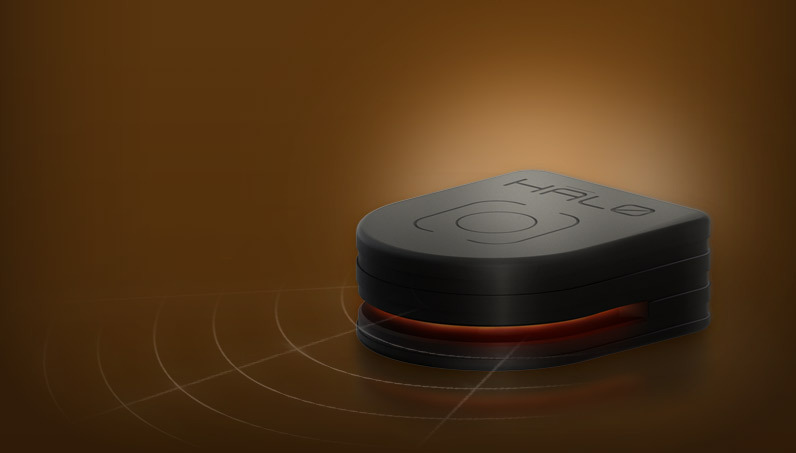 Artificial intelligence identifies your subjects (people and objects) and tracks their distance and location in real-time. You can then tap-to-focus with visual, audible, and haptic feedback. And HĀLO becomes your technician, handling the practical details so you can concentrate on your creative performance. 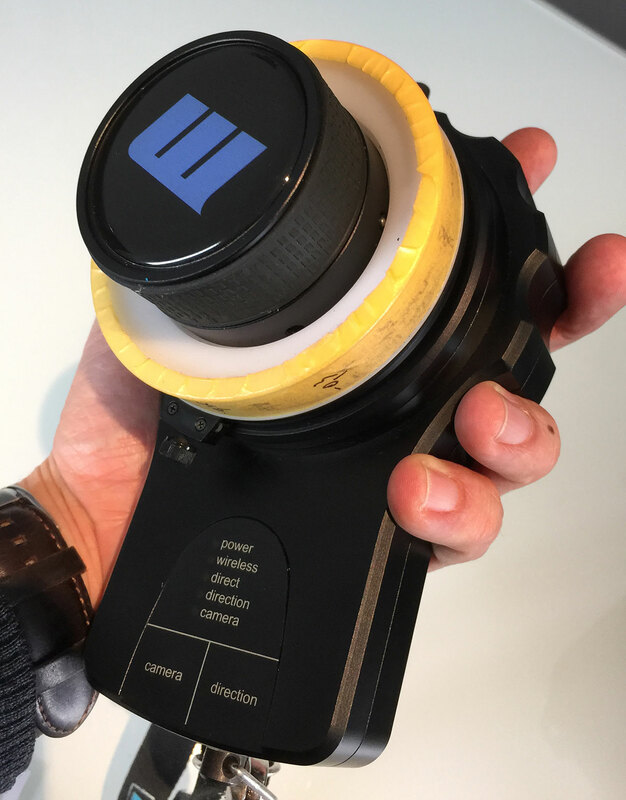 Other automatic follow focus systems at NAB 2015: There were other automatic follow focus systems at NAB 2015. Of course everybody is aware of the famous Andra focusing system which they have further improved with a digital user interface and manual inputs. But then there was also Qinematiq, an Austrian company, with an approach of using stereoscopic imaging to generate a 3D map of the scene. 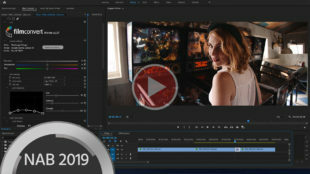 There’s a video that was captured by Magnimous Media, see below: It seems the Cinematiq version is gonna be more pricey than the Redrock solution, but then again it seems to be a whole different concept alltogether. The one question we forgot to ask concerning the Redrock HĀLO is how much preparation time it takes to setup this automatic follow focus system, in order to correctly track all objects in the scene. But we will find out about that when the time for delivery of the Redrock HĀLO comes later this year. Estimated price is between $2,000 and $5,000. 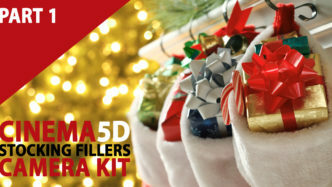 For more information visit the Redrock Micro website. PS: Sorry about bad audio in this video. 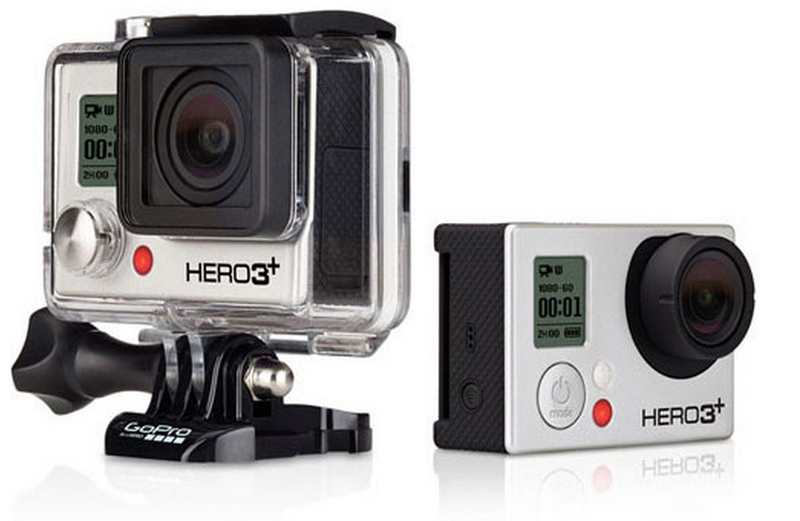 Over the past decade or so, cameras have gotten a lot smaller and thereby more portable and flexible. 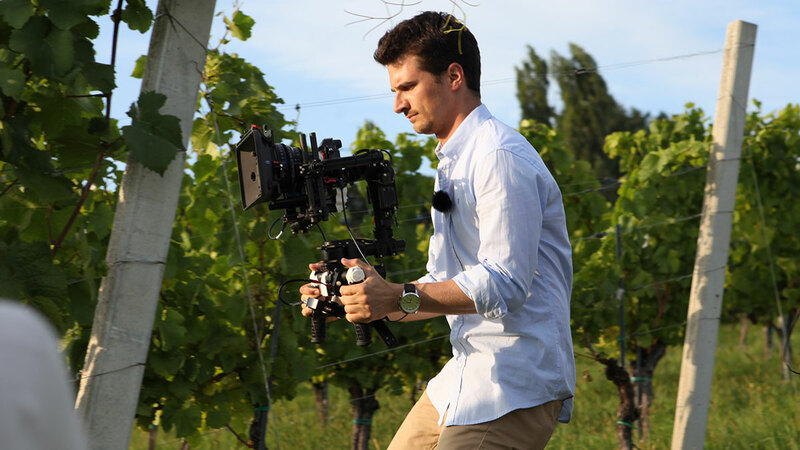 People realized the cameras could be put onto various different contraptions to get shots that were previously seen impossible – small jib arms, lightweight dollies, handheld stabilizers like Steadicams and Glidecams, and gimbals, which have become widespread only recently thanks to Freefly’s MoVi and the DJI Ronin, among many others. 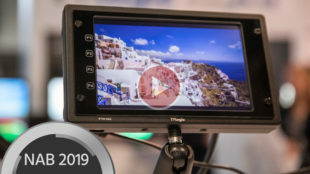 Remote focusing is becoming mainstream … The problem with all these gadgets is that while cameras have gotten smaller, the underlying principle of having to operate camera functions manually hasn’t really changed in the professional field. Surely, autofocus and innovative focusing technologies are getting better all the time, but it’s unlikely that they will be able to replace a human being who is pulling the focus as the action unfolds, anticipating movement and shifting the audience’s attention according to the director’s or director of photography’s vision. However, smaller and moving cameras have made it much harder for focus pullers and operators to actually operate that camera when it’s in its contraption, no matter if it’s a jib, a gimble or something else. The “normal way” of using a follow focus just isn’t feasible as it would negatively impact the shot. And that’s exactly where remote follow focuses come in. It’s the omnipresence of all these camera stabilizers, jibs, dollies and so on that has made them so necessary. 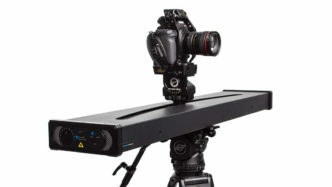 But not long ago, there was a caveat with buying a remote follow focusing device: it was (and to a degree still is) a segment of our industry where few high-end manufacturers produced solutions primarily targeted at traditional high-end camera systems – talking about film cameras, Arri Alexas and so on. 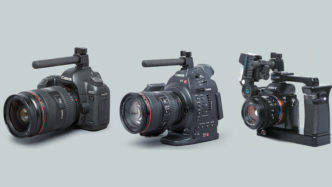 So suddenly there was this influx of less expensive camera systems with the digital cinema revolution that was unintentionally started with the Canon 5D Mark II and to a lesser degree even with the Red One before that. And that’s exactly when the demand for such system increased massively. 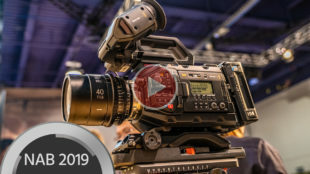 Until recently however, it’s been quite tricky to find affordable systems that do what they are supposed to do properly – exactly because all the established systems were designed for camera systems with a totally different price point. 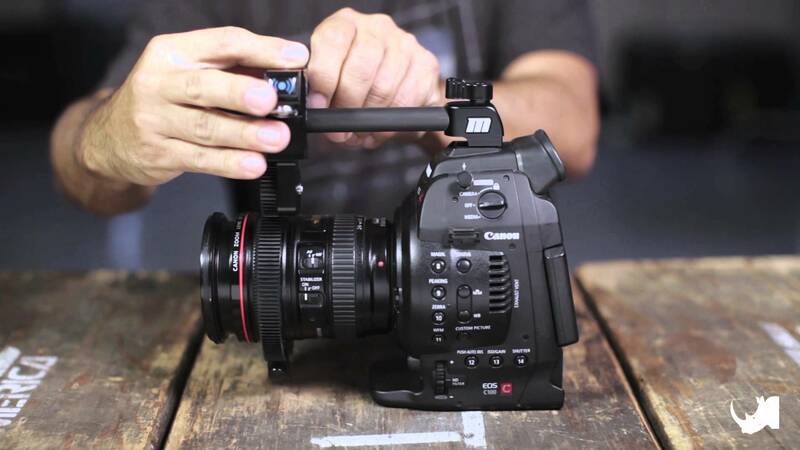 MoVi M10 and the need for remote focusing I found myself in a tough spot when I invested in a MoVi M10 (and later M5) to use with my C300, a Red Epic and other cameras, because obviously what you are able to shoot is quite limited if you can’t maintain focus. Shooting at f/16 for deep focus’ sake isn’t a whole lot of fun and obviously makes everything look less cinematic than it could be with a wider f-stop. (Not to mention the light loss.) So I immediately started looking out for a proper remote follow focus system and it became clear quite quickly that this is quite a competitive field of our industry in the high-end sector, whereas the “owner-operator” remote follow focuses (in other words, less expensive ones) were clearly in the minority – and many options were far from ideal for my purpose. An inexpensive, small and lightweight remote focus system – impossible? Many gimbal users like myself find themselves in the same contradictory situation: They need a remote focus system with many bells and whistles, yet have a limited budget. 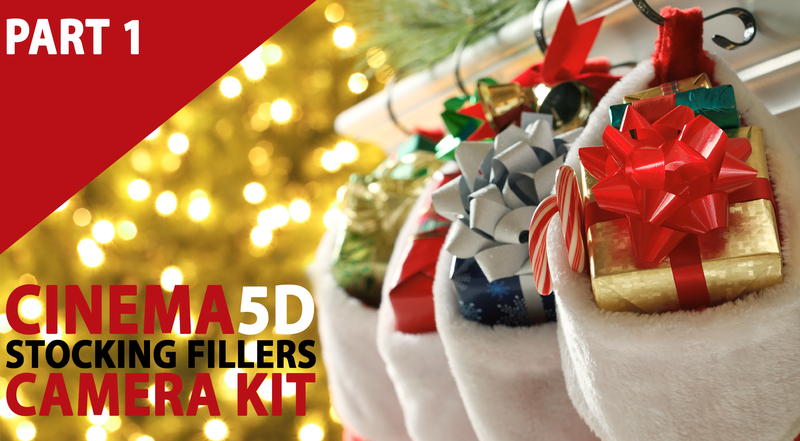 In particular, two of the major requirements for any device attached to a gimbal are lightness and a small footprint. Apart from their rather high price point, the majority of reliable remote follow focuses that have been on the market for years were not designed with a small form factor or low weight in mind. Be it C-Motion, Bartech or one of the many others – and their price point puts them clearly into rental equipment territory. 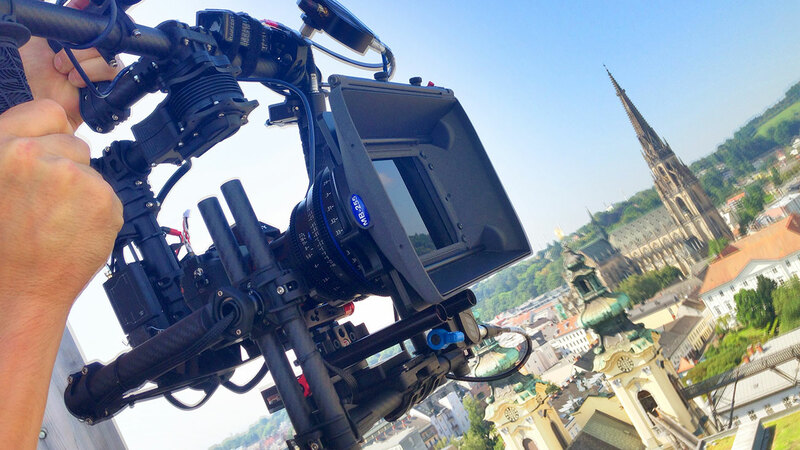 Simply because it didn’t matter much if a large camera such as an Alexa would weigh a little bit more on a crane or not – reliability and reach were the manufacturers’ major concerns. Another big issue is powering these units on gimbals – usually they get their power via D-Tap from an Anton Bauer battery on a larger rig, but I wasn’t too keen on slapping a large heavy brick battery on my MoVi M10 (even less so on the MoVi M5). So that wasn’t an option either, and it made the selection process among the available systems even harder. Entering: RedRock microRemote Talking to other MoVi M10 owners I kept getting recommendations for the RedRock MicroRemote for various reasons, and decided to give it a try with the MoVi. If you want to save yourself reading the rather elaborate long text below, I can thoroughly recommend it. Now Redrock weren’t on my radar for this type of system at all in the beginning. I knew them as rig manufacturers mainly, so it didn’t quite cross my mind that their remote focusing system could be worth my time. As it turned out, I was very wrong. I got the microRemote wireless bundle to test, with the addition of the “Universal Fingerwheel”, which is further explained below. Real-life review conditions – the set-up All the team members at cinema5D are always striving after using equipment under real-life circumstances as much as possible – in this case, I put the microRemote through its paces during a huge client project that was shot over the course of this past summer (and which I will be able to talk about and share with you in early 2015) on the MoVi M5 with the Sony A7s and Zeiss CP.2 lenses. It really was a tough gig in many respects, with long continuous takes testing the MoVi M5’s and the Redrock microRemote’s durability. They both performed flawlessly, and the inverted mode of the M5 made it so much easier to operate compared to the “normal” way of holding a gimbal, where you have to hold your hands up in order to be at eye level with the camera. Due to the nature of the shoots, it was essential to build a small and lightweight rig that could be moved quickly and operated for long periods of time. To keep it as small and lightweight as possible, I ended up using it even without an additional monitor on the rig itself, solely trusting the A7s’s build-in monitor at the back – which due to the inverted mode of the MoVi, was right in front of my eyes. The Sony A7s is a very small camera and putting a Zeiss CP.2 on it meant that the lens would be higher than the camera itself. Normal base plates were not feasible for that reason. 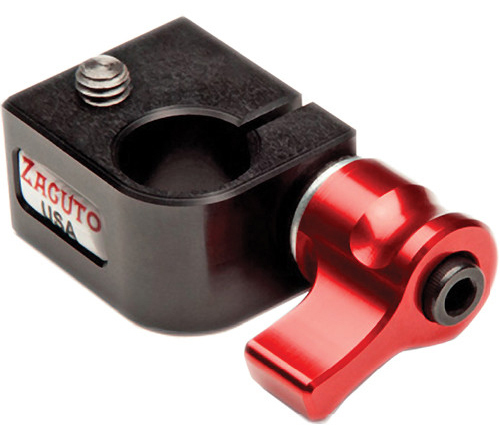 After testing many options, I went with the Zacuto DSLR baseplate, which is height adjustable, and enabled me to use very short and lightweight rods to mount the Redrock microRemote torque motor and a Vocas clamp-on matte box on. I used a Chrosziel lens support to stabilize the lens as Sony’s E-Mount (much like Canon’s EF mount) isn’t really made to feel the force of a decent torque motor, causing the lens to move in the mount otherwise the motor is moving quickly. The additional lens support did the trick though and made this a non-issue. 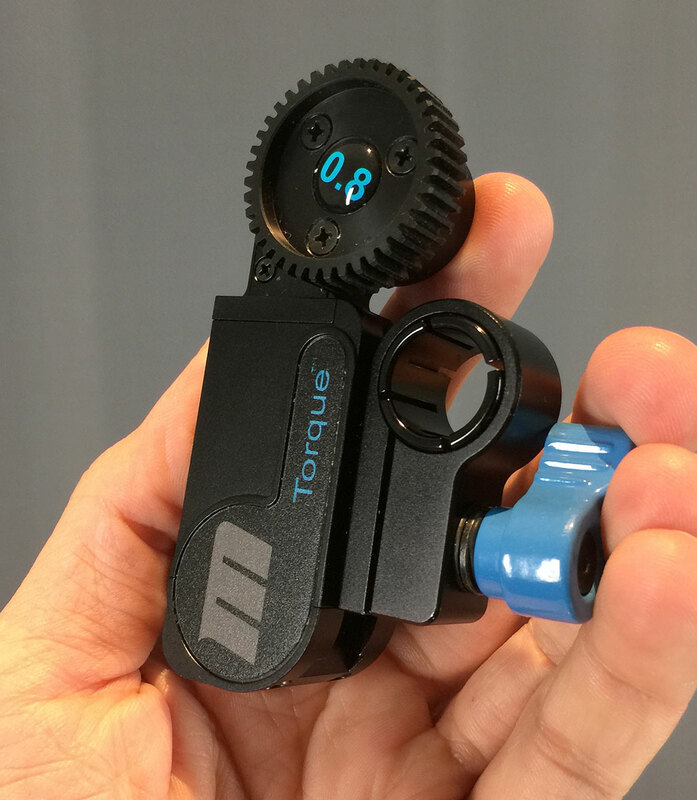 Torque Motor Having used other follow focus motors on the M10 and M5 before, I was pleased to see that the Redrock motor is definitely a lot smaller than most of its higher-end counterparts. I had very little space in between the rods and the rather wide CP.2 lens, but the motor’s height adjustment slider on the mount made it relatively straightforward to adjust. If I had to point at one thing that could be enhanced I would point out the rather large thumb screw that almost touches the lens when adjusting. This is just a small thing and not really a problem as it is lift-and-lock repositionable, but I can see how this potentially could become a problem on some other very small setups – this thumb screw should be easy to shrink for Redrock though, in a future version of the device (or even as a replacement for the current one). Considering the low price point of the entire system, I was worried that the motor could possibly be not strong enough for some lenses – especially the Zeiss CP.2’s, some of which have a little more resistance on the focus barrel than higher-end cinema lenses. However, my worry was unfounded -quite the contrary actually, the microRemote torque motor turned out to be very strong. The factory setting of the motor has it ramping up – it starts a bit slower and builds up quickly. I had this reset to a more immediate reaction time because my shoot required some rather quick refocusing from macro to infinity in some occasion, and Redrock’s support team gave me quick feedback on how to adjust the setting very easily, and it worked like a breeze. 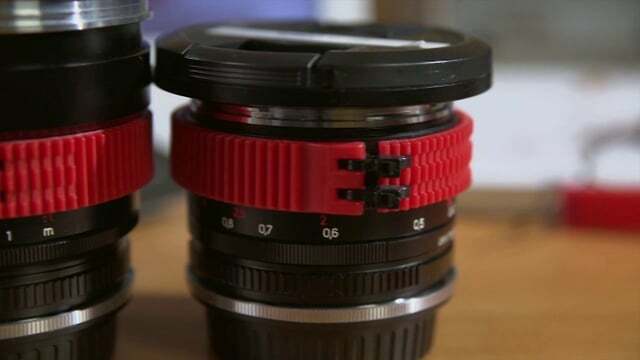 The motor comes with one 0.8 gear ring that fits most cinema lenses, but I would recommend ordering a second gear ring with your order as a replacement as they can wear out over time when used a lot. 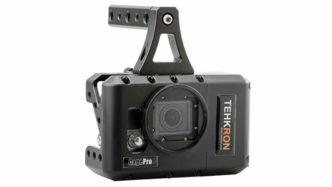 Since I have received the review unit, Redrock has shrunk the motor for gimbal users – see photo below! I haven’t tried the new one but it makes a lot of sense to get the cable out this way, especially for balancing purposes. Basestation Unit The Basestation unit is the heart of the system and manages interaction between tethered / wireless connections and the motor. Again, its size is really what really impressed me. If you look at the competition you can clearly see that most other systems are much larger in comparison to the microRemote Basestation, again making them harder to mount on gimbals (I tried to use a Bartech on an M10 several times – no fun at all). The antenna is very short but my worries that this would adversely affect reach of the unit were unfounded – we tried focusing over distances of more than 200 feet (60 meters) over the course of the project and there were no noticeable delay or lag issues whatsoever. 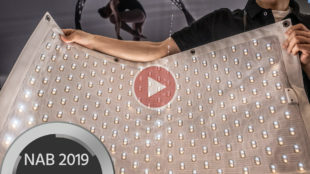 Redrock says it’s tested to work well of up to 300 feet distance – though I have to say my ACs rarely felt the need to move further away than 20-30 feet from the camera with their remote in practice. This basestation is a fully digital system with 16 wireless channels which allows you to move to a different channel if there is interference on any one. I only used it with the Redrock Torque motor but it supposedly works with all digital motors – again great for versatility. A 1/4” mounting hole at the back of the unit made it very easy for us to mount on the MoVi M5’s handles without getting in my way of handling the gimbal. The whole system and the lenses are calibrated using the basestation. Some other much more expensive high-end systems come with super-advanced databases of cinema lenses which means the need for calibrating for lenses is massively reduced. However that’s something you cannot expect from a system like the microRemote which is targeted at the owner-operator rather than the professional 1st AC who moves from feature film to feature film day in and day out. The lack of such high-end functions however also means that they are able to build the unit as small as they do, which is something that is far more important for me personally. But let’s get back to calibration: It’s very straightforward. 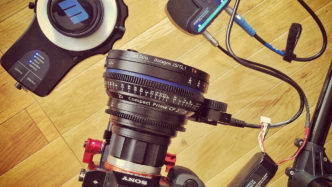 If you use a cinema lens with hard stops like in our case with the Zeiss CP.2, you simply attach the motor to the lens when it’s roughly positioned in the middle of the lens barrel. You then press “auto” and the automatic calibration starts, moving the motor to either end of the lens barrel – done. That’s basically it – ready to rock and roll. It’s essential that this process is as simple as it is as you end up changing lenses frequently on most shoots. Very neatly implemented. 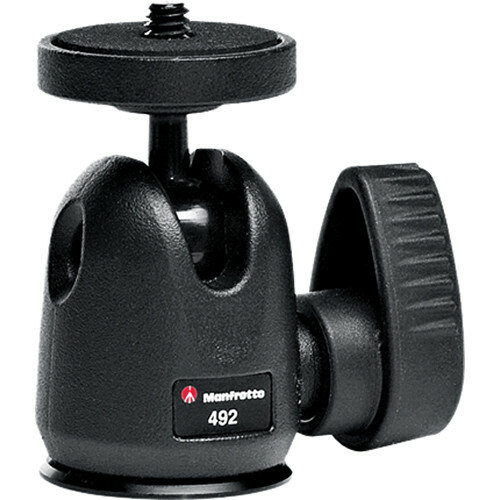 If you work with photo lenses or if the automatic calibration doesn’t work for some reason, you can always manually calibrate and move the motor manually to the appropriate end and start positions using the handheld controller or the fingerwheel. I tried shooting with a photo lens without hard stops too and the manual calibration worked just fine. However, I wouldn’t recommend permanently using a photo lens with a motorized follow focus system like this one simply because the lenses are not made for this – there’s quite a bit of strain that is put on the lens barrel by the movement and I can see cheaply built photo lenses break over time because of the strength of the motor. This is hardly the fault of the system, rather that of the operator who uses these lenses with it – don’t say you haven’t been warned! 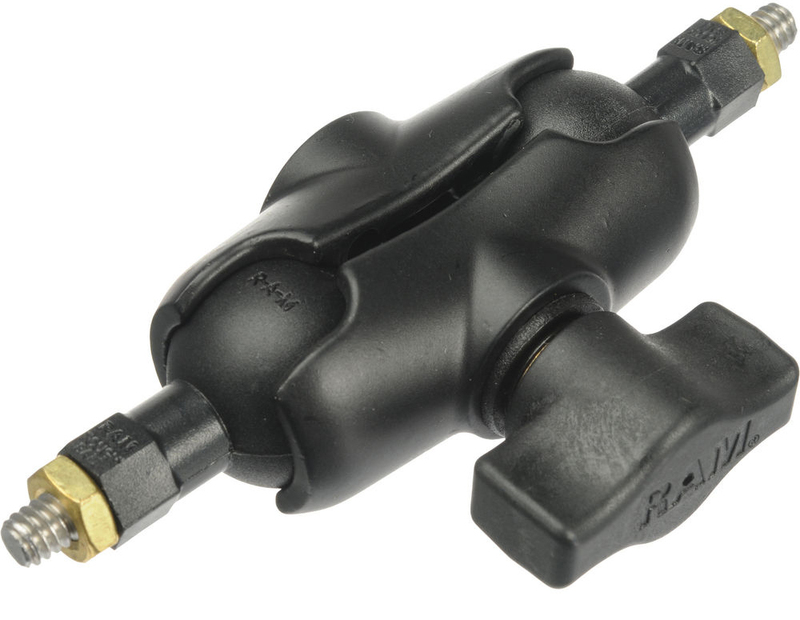 The Basestation has connectors for power, motor cable, and the optional fingerwheel. The all run into the station from the same side, and some of these cables are a bit stiff (yet very durable), which means you should think about where and how to place it especially on a gimbal. The length of the cables was ideal for us though – nothing is more annoying than having cables that are too long or short on a gimbal. I just wish they were a bit softer so you could wrap them around parts of the gimbal more easily – but I can see how this could adversely affect their durability. 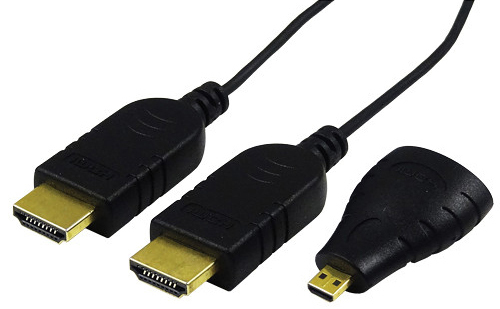 Redrock told me that they now have new “flexCables” which are more flexible – so I think it’s worth looking into them if you order a unit (or if you already have one). The accessory port on the basestation can be used to power other accessories like for example a wireless video transmitter if it’s not in use – nice addition, because on a gimbal it’s all about reducing batteries (and thereby weight). The new 2.0 firmware of the microRemote added the ability to dial out any system backlash which is nice (apart from bug fixes and better stability). Fingerwheel The Fingerwheel controller is a nice optional add-on to the Redrock microRemote that I can recommend for any users who can’t rely on having a focus puller on set on every shoot. This device is a really big deal for solo operators, to put it this way. 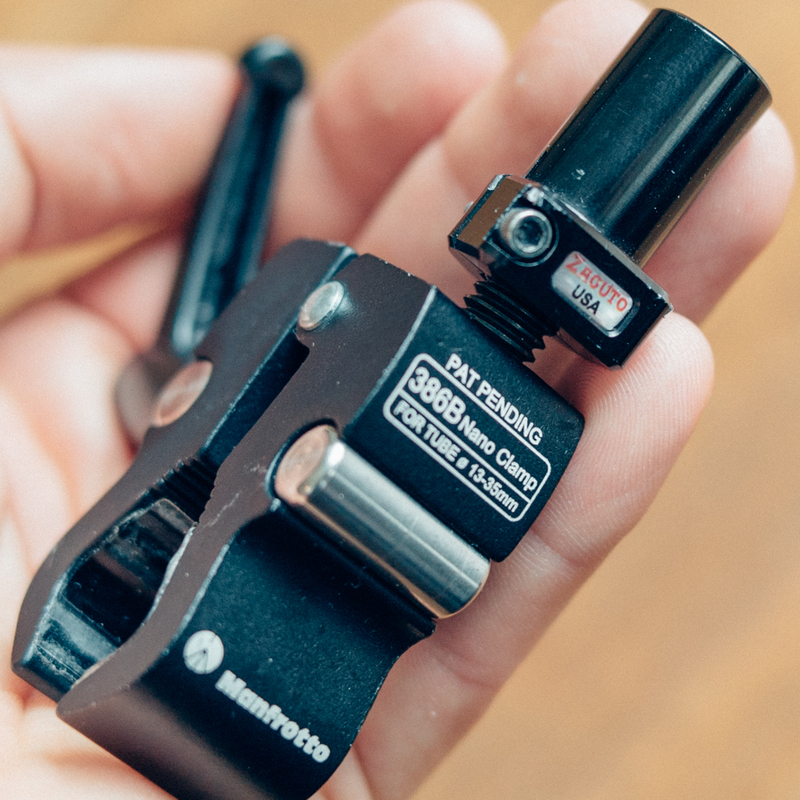 It’s a very small knob on a clamp that can be attached to grips on shoulder rigs or a gimbal, and it’s tethered via cable to the basestation to allow for manual focusing using only your thumb. 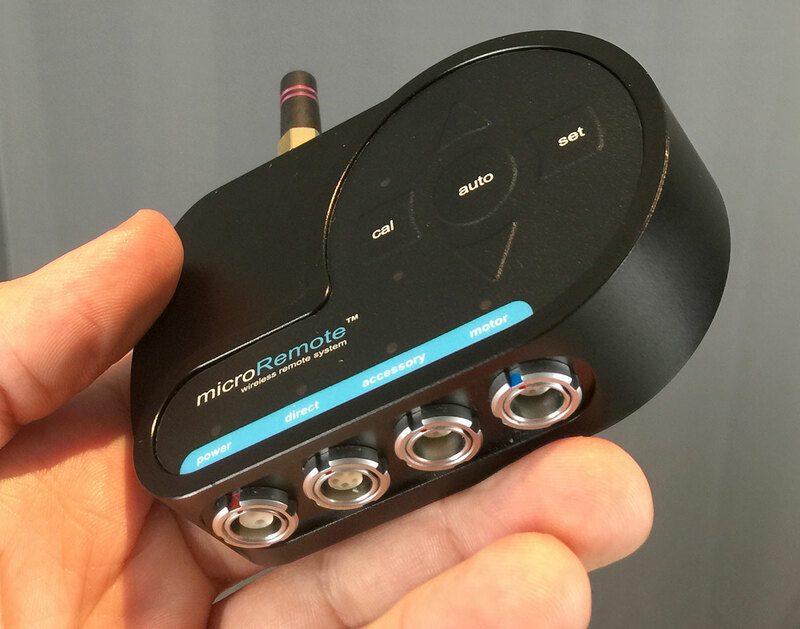 I found it to be really practical to be used in conjunction with the remote controller – when you switch off the remote, the basestation immediately realizes that the Fingerwheel is attached and starts working. Then when you switch the remote back on it switches of the Fingerwheel again. 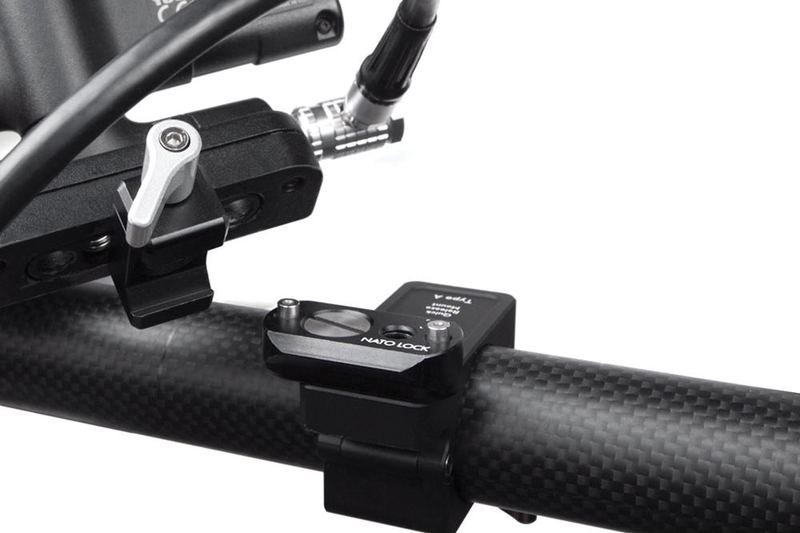 Perfect especially on a gimbal, where you can’t fiddle around with switches all the time without actually putting it back onto its stand. Despite the relatively small knob on the Fingerwheel I found that focusing is quite precise after some practice, and the motor is extremely responsive. You can also use a longer cable to use the Fingerwheel on jibs and cranes. Remote Controller The remote controller is a chunky unit, but very well built and has a high-quality feel to it. It is quite big but I had no problem with it as I have rather large hands – but that is not true for anyone. 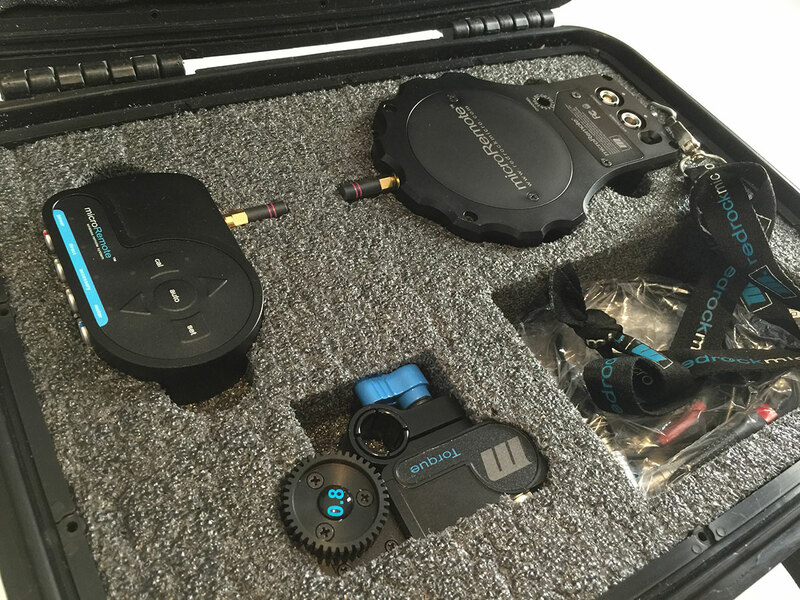 I was told by Redrock that they are now also shipping a smaller and lighter hand unit especially geared towards gimbal users. The advantage of the controller’s size is that focusing is very precise thanks to the large wheel controller. The marking disk is removable but there’s only one in the box, so you should order additional ones with the package. As mentioned in the Fingerwheel section above, the basestation realizes when the remote is switched on and off, disabling or enabling the attached Fingerwheel accordingly. 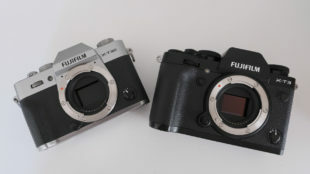 There is some room for improvement with the battery compartment of the unit, which can only be opened using a screwdriver – considering the fact that you can run through a set of AA batteries within two days or so if you use the unit a lot, I wish it was a little bit easier to replace batteries. Small issue but that can easily be enhanced. The range of the microRemote and controller is 1 mile line of sight, according to Redrock. I didn’t verify nor test this, simply because it worked very well for us without any connection hickups in every practical circumstance. The farthest that the focus puller was away from the camera unit was about 50 meters and there were no performance problems at all. Redrock have a small AC Field Runner Rig that can put the remote together with a monitor and wireless receiver – we haven’t had a chance to try this but I can see how much this makes sense considering the fact that my AC was watching over the client’s shoulder onto their monitor most of the time during our shoots. 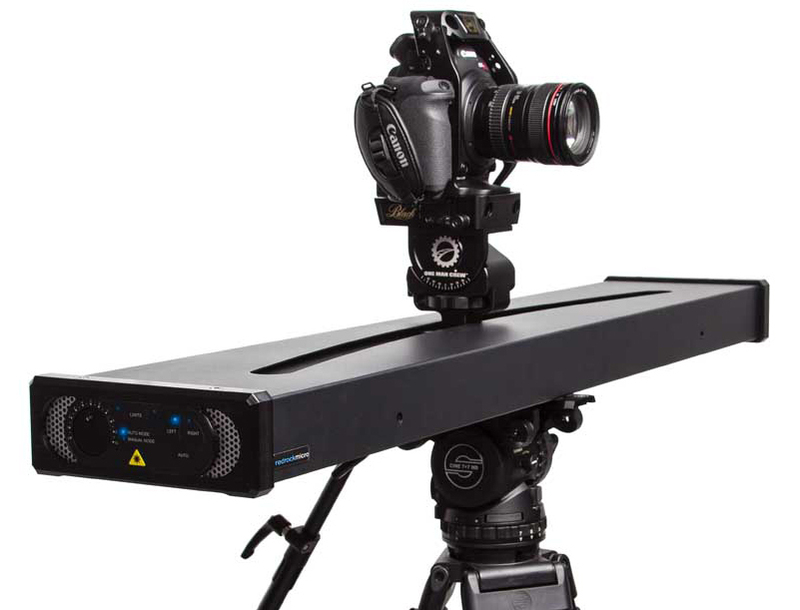 Powering Any gimbal users will know that powering all the devices you have on the rig (monitor, remote follow focus, wireless HDMI, camera and gimbal themselves …) can be a big hassle with each one demanding their own battery. 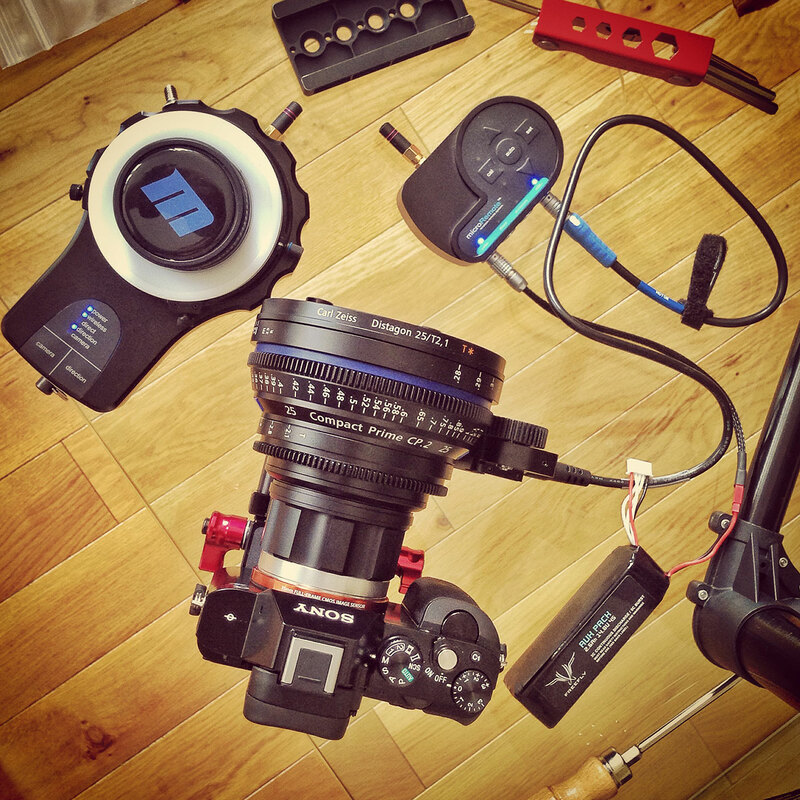 Rather than going with the standard D-Tap option, attaching an Anton Bauer battery to the rig in order to power the microRemote, I purchased Freefly’s Lemo cable and power the microRemote through a second MoVi battery. Easy and lightweight – just be aware that those batteries don’t have a power surge or drain protection, and you mustn’t discharge it all the way or the battery is dead. I managed to kill one MoVi M10 battery this way. Having said that, one battery can easily get you through a day of shooting, just be sure to charge it right afterwards, don’t let it discharge all the way. Using these smaller and lighter batteries still leaves us with one problem: too many batteries on the rig for all the different devices that need to be powered. 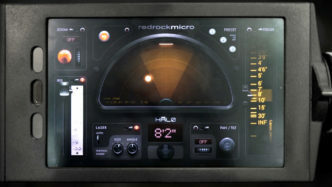 In comes another innovation from Redrock for that, simply called the “Powerpack”, promising to power all these devices. I haven’t had a chance to test it yet as it’s still quite new, but it surely looks promising and is just further proof that these guys have gimbal users in mind and that they have recognized the changed needs of filmmakers (which can’t be said about all remote follow focus manufacturers). Conclusion The Redrock microRemote for me is an ideal companion for owner/operators who use gimbals and other devices where you don’t always have immediate access to the camera. Price performance ratio is impressive and it certainly is a product that gets a lot of “love” and updates from the manufacturer – and considering how many enhancements it’s getting all the time, it’s clear that Redrock has recognized the needs of gimbal users especially. For example, the new smaller motor, the smaller remote, the flexCables, the Fingerwheel … and the list goes on. In all, I can thoroughly recommend the microRemote if you have any gimbal or Steadicam stabilizer and use it with your own equipment on a regular basis. It provides a lot of bang for the buck and for me it’s the first remote focusing unit which is versatile enough for a lot of shooting needs, and cheap enough that you can buy it rather than rent it. Don’t hesitate to comment if you have any questions. While reading about a couple of new GoPro Hero cages recently, it occurred to me that we have built quite the collection of like-minded products over the last few months.